The Next Page Bookstore in Frisco will host a fresh new author for a book discussion and signing at 5 p.m. Wednesday. 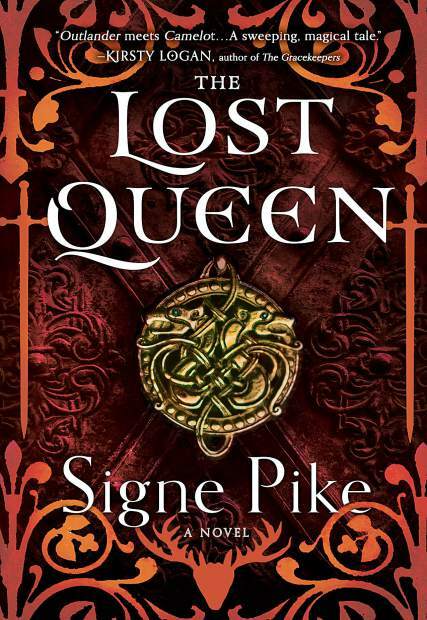 The visit is part of Signe Pike’s limited book tour for her first novel, “The Lost Queen,” according to the book store. “The Lost Queen” has been compared to “Outlander”, “Camelot”, and “The Mists of Avalon” as the tale conjures Arthurian myth as never before, told from the perspective of a smart, strong and powerful woman who helped shape one of the most enduring legends but was erased from the historical record by those who sought to destroy her. The book is described as a story of bravery, divided loyalties and conflicted love with everything a reader could want in a big, bold novel — courage in battle, enchantment, a changing society at war with itself, smoldering passion, treachery and betrayal and beautiful writing about the natural world. At the center of it all is a girl becoming a woman who can throw a knife, read her twin brother’s thoughts and fall in love with one man but marry another. A woman who must take frightening risks and make unimaginable sacrifices to secure the future of her people. This is a free event. For more info or to reserve a copy of the book in advance, call 970-668-9291 or email lisa@nextpagebooks.com.